NEW YORK (CBS) Irish filmmaker George Clarke thinks he has spotted something unusual -- a woman talking on a cell phone in a 1928 Charlie Chaplin film. 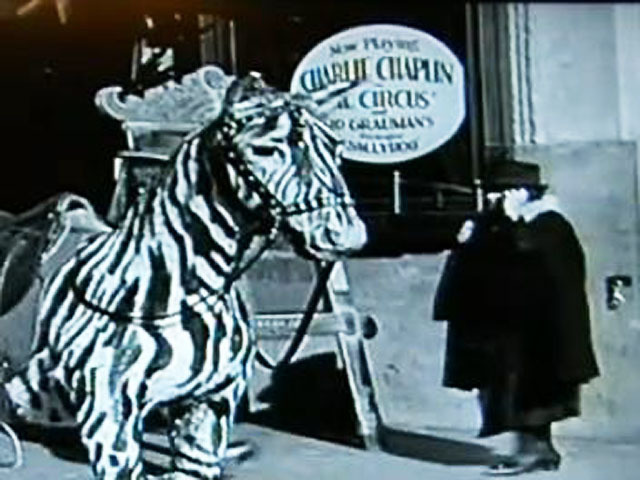 The clip, which was found in the DVD extras of "The Circus," shows a behind-the-scenes look at people attending the film premiere at Manns Chinese Theatre in Hollywood. In one of the scenes a woman in a dark coat is seen walking in the background and holding a thin, black object next to her left ear. When the footage is put into slow motion and zoomed-in, the woman appears to be "talking" into the device. Stumped for an explanation, Clarke thinks the only plausible theory is that the woman is a time traveler. Check out his video below and let us know what you think.